Before Olympic rower Alex Gregory headed to Rio, he opened up to ZSL's Wild About magazine about his passion for wildlife – and how instilling a love of nature in the younger generation is a challenge we can’t afford to lose. I’ve always had a passion for wildlife and nature. When I was little, I was forever bringing ridiculous things home in tanks and pots. I had an aviary with zebra finches, I had praying mantises, tree frogs and different types of lizard. I even had a scorpion that disappeared in my bedroom. One of my favourites was a tame sparrow. It sat on my shoulder and would come when I called its name – we even took him on holiday. I used to be a swimmer, training indoors with nothing to look at, but then I discovered rowing. Suddenly, I was outside doing an activity I enjoyed, looking at the wildlife. I would have amazing encounters every day, rowing alongside kingfishers, seeing herons fishing and pike hunting. There has been a lot of talk about pollution in the water in Rio where the races are held, but once, between training sessions, I put a little trap in the water and within five minutes there were 20 fish in it. It was amazing – we thought it was a dead lake, but it was absolutely full of life. I’ll definitely be keeping my eyes peeled for wildlife out there. I didn’t plan to instil a fascination for wildlife in my children Jasper (six), Daisy (two) and Jesse (six months) – it just happened. I think we have a big role to play in how our children see the world. Wherever we are, whether it’s in the town or countryside, I go looking for things and I notice things. I genuinely have a love and fascination for everything, from the tiniest little insect up to elephants. My eldest, Jasper, is the same. We’re doing an experiment now with a caterpillar, which he’s feeding and looking after. We also have a pet tortoise that Daisy is in love with. Every day she goes looking for tortoise food, which teaches her about care and awareness. A while ago we built a hedgehog house. It was just a basic wooden box I knocked together and filled with straw. We left it in the corner of the garden and put food out in the evening and the hedgehogs found it. We hooked up a night-vision camera to the TV and watched them – it was amazing and so simple to do. Kids aren’t just impressed by big things, and if they become interested in the little things, that then builds and develops until they realise that all wildlife – and conservation – is linked. I think being able to go to zoos and see animals up close as they interact with each other brings an appreciation of what they are, what they do and how they live. It raises awareness in the younger generation, and they are the next people who need to take on the challenge to protect them. We all talk about conservation, but it’s not something that occurs overnight. It’s the next generation who are going to have to carry on the work. So it’s really important that young people have an understanding, and an awareness and appreciation of wildlife. That way, they’ll be prepared to do something about looking after it. You don’t need a big garden – even plants on the windowsill will attract butterflies and bees. Have fun for free by taking children out to look in the grass or under a rock. Have a log pile or a patch set aside to attract insects and small mammals such as hedgehogs. A blog for lovers of ZSL London Zoo, bringing you extraordinary animal facts and exclusive access to the world's oldest scientific zoo. Do you love wildlife? Discover more about our amazing animals at the UK's biggest zoo! We're working around the world to conserve animals and their habitats, find out more about our latest achievements. From the field to the lab, catch up with the scientists on the cutting edge of conservation biology at ZSL’s Institute of Zoology. A day in Discovery and Learning at ZSL is never dull! The team tell us all about the exciting sessions for school children, as well as work further afield. Ever wondered what a typical day as a zookeeper looks like, or what it's like to be a videographer at ZSL? Now you can find out! Every month, one of the pieces held in ZSL’s Library and at ZSL Whipsnade Zoo will feature here as Artefact of the Month. Read extracts from ZSL's award winning members' magazine, Wild About. Get updates on our latest ranges, be the first to hear about special offers, and find the perfect gift for animal lovers! The Chagos archipelago is a rare haven for marine biodiversity. Hear from the team about our projects to protect the environments in the British Indian Ocean Territory (BIOT). ZSL Institute of Zoology researchers are embarking on an exciting fieldwork expedition to Nelson’s Island in the Chagos Archipelago. Throughout the month, the team will share their research and experiences on an uninhabited tropical island! 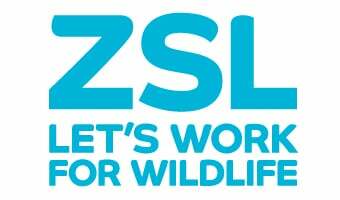 ZSL works across Asia, from the famous national parks of Nepal to marine protected areas in the Philippines. Read the latest updates on our conservation. An Open Access journal for research at the interface of remote sensing, ecology and conservation. Find opportunities to get involved with marine conservation.